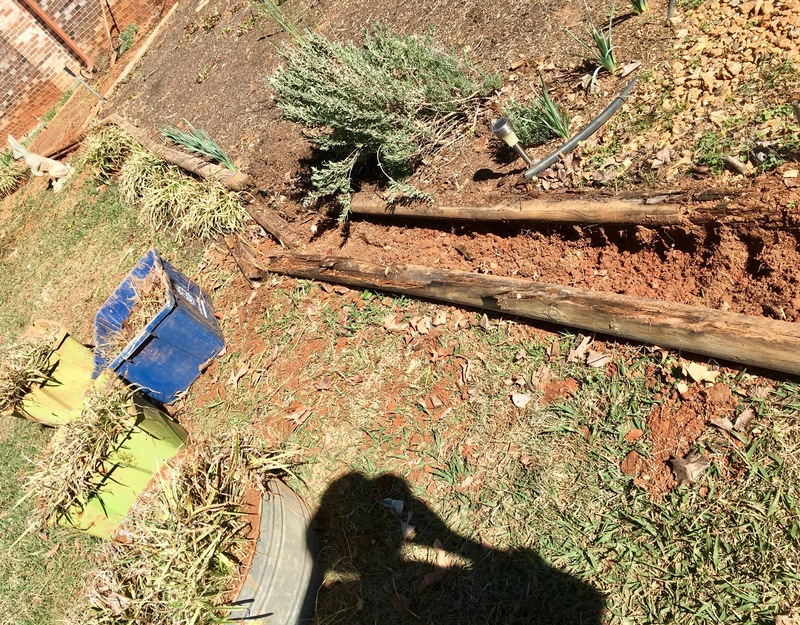 A few weeks ago I was in the midst of digging up the monkey grass border on the west garden, and wrote about being stymied by rotting timber that had to be replaced. 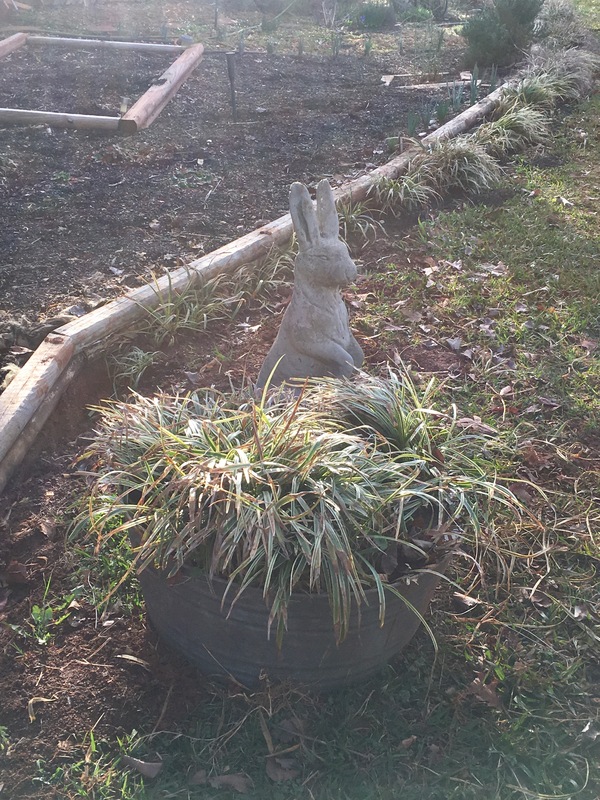 We dug it all up because of the crab grass intertwined in the roots and taking over my garden in the heat of summer. I handled each one of those root bundles, separating them and pulling out the pernicious crab grass roots. Having finally finished with that project, with some help from everyone else in the family, it wasn’t really done. Of course not. 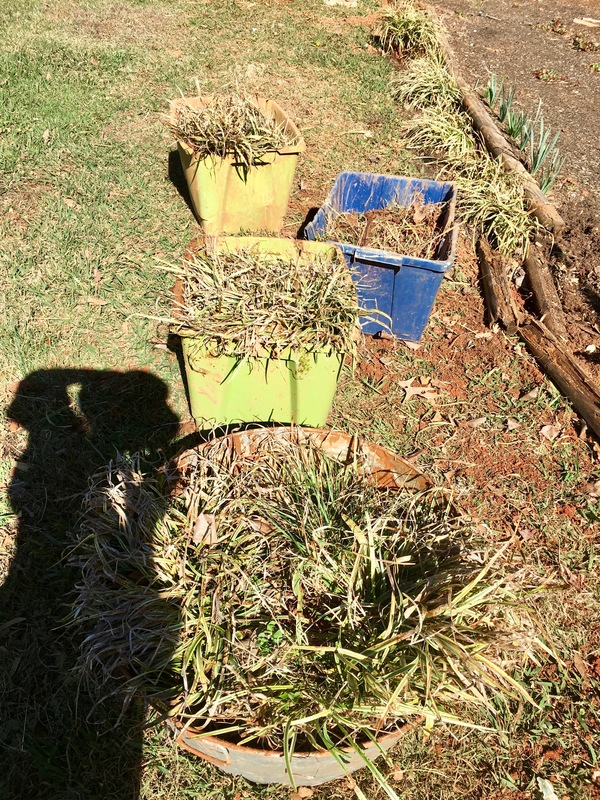 Monkey grass soaking in tubs to soften the roots. 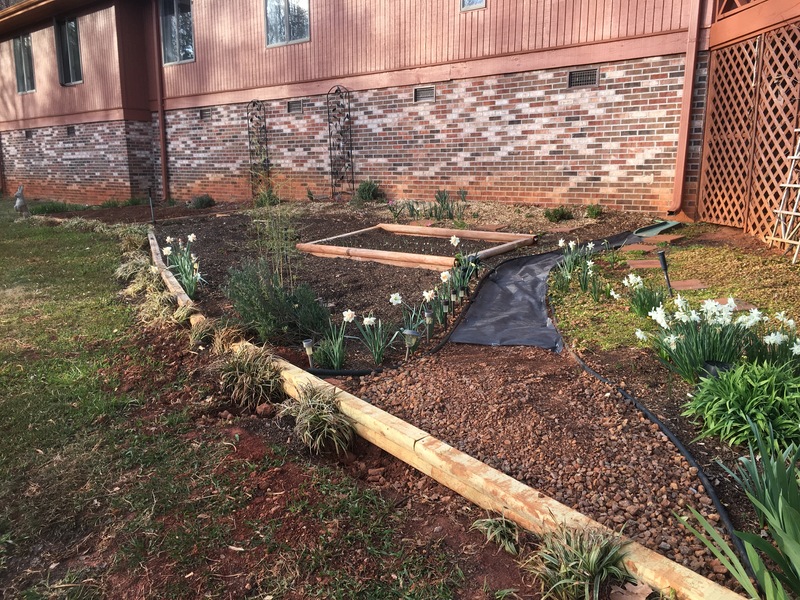 On Sunday morning I was enthusiastic about getting closer to finishing with digging up and replanting the de-weeded monkey grass border along the west garden. I sent my oldest son out ahead of me to do the digging up part. Unfortunately what he uncovered brought my project to a halt.